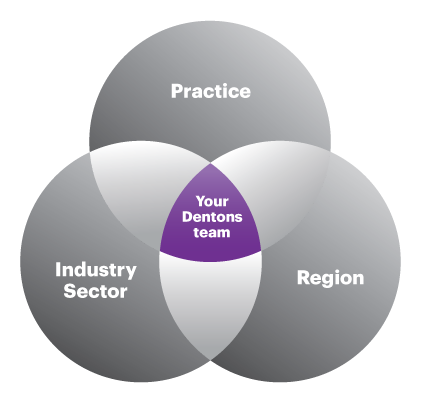 As a global Top 10 law firm with deep experience in the industry, Dentons can help you meet those challenges head-on. Our mining clients include issuers listed on the world’s major stock exchanges, including those in Australia, Johannesburg, Hong Kong, London, Moscow, New York and Toronto. Investment banking firms and financial advisors turn to us for our seasoned advice. It’s why we’re certain our global team’s experience will match your global reach. Look to our lawyers for solutions across the mining sector. 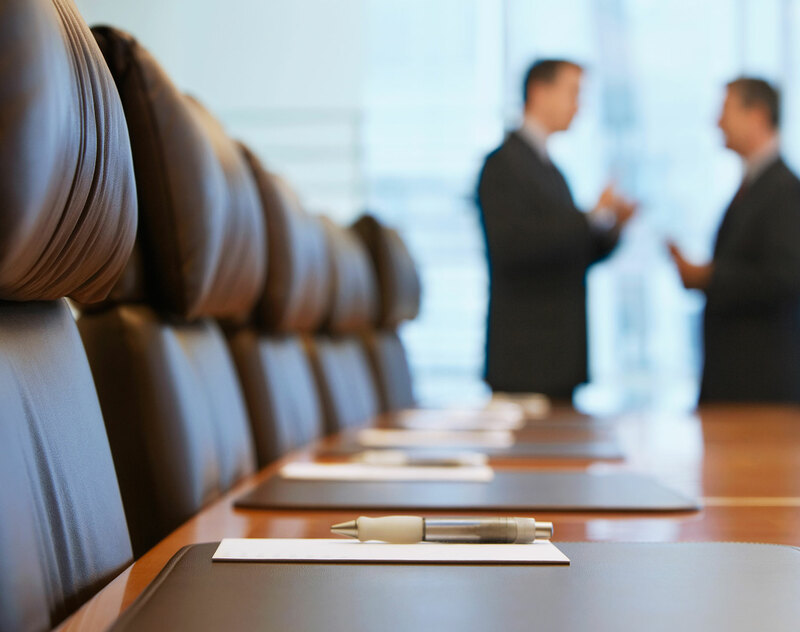 Leverage our knowledge in areas such as mergers and acquisitions. While many markets continue to encounter challenges, the fundamentals for the mining sector, including commodity prices, remain strong in the medium term. Trust us to help you play a leading role in the development of resource projects worldwide, as we continuously monitor developments in resource nationalism, including the exercise of royalty, taxing and nationalization powers. Partner with lawyers who have authored studies related to global resource regimes and published extensively in relation to the streamlining of multiple environmental assessments to support the development of major projects. Rely on a mining team that takes an active role in both the Prospectors and Developers Association of Canada and the Rocky Mountain Mineral Law Foundation. With Dentons, you’ll benefit from our in-depth understanding of the mining sector, as well as our worldwide reach, seamless service, and cross-border, multijurisdictional insight that can provide you with the right strategies to grow your business. China Gold International Resources Corp. Limited: Advising the Canadian TSX/HKEx listed company which operates mines in Mongolia and the in Tibet Autonomous Region of the People’s Republic of China, on the US$500 million issuance of bonds, through its wholly-owned subsidiary, Skyland Mining (BVI) Limited. China National Gold Group Corporation: Advising on its US$300 million acquisition (through its subsidiary) of an Australian mining company, Sino Mining Guizhou Pty Ltd from Eldorado Gold Corporation, on aspects of the Sale Agreement, the Foreign Investment Review Board and completion aspects of the transaction. CNG received FIRB approval and the client successfully acquired the asset that is aimed to increase CNG’s annual gold production quantities. The multijurisdictional aspect was challenging and involved partners from our Sydney and Beijing offices working together. China National Nuclear Corporation: Advising in its US$190 million acquisition of a 25 percent stake in the Langer Heinrich Mauritius Holdings Ltd. uranium mine from Paladin Energy Ltd.
Conuma Coal Resources Limited, a member of the ERP Group of Companies: Advising on its US$35 million acquisition of assets and assumed liabilities including three surface mining coal complexes from Walter Energy Canada in this 2017 Cross Border Turnaround of the Year award winning transaction. The complexes were purchased by Walter Energy Canada from Western Energy in 2011 for over CA$3 billion, Turnaround Atlas Awards 2017. ERP Iron Ore, LLC, a member of the ERP Group of Companies: Advising on its acquisition of an integrated iron ore mining and pellet production company from Magnetation in this 2017 Community Impact Turnaround of the Year award winning transaction. The assets were constructed at a cost of over US$1 billion, Turnaround Atlas Awards 2017. EuroChem Group AG: Advising one of the world’s leading mineral fertilizer producers on a US$800 million five-year pre-export financing from a syndicate of international banks. Joint Venture Partners of Tiger Realm Coal Limited: Advising in the sale of a 20% interest in the Amaam North Project to Tigers Realm Coal Limited, an ASX listed coking coal company which is developing two projects in eastern Russia, and advising on the renegotiation of certain terms in the Amaam Project agreement. MMG: Advising in connection with the US$5.85 billion acquisition of the Las Bambas copper project in Peru from GlencoreXstrata awarded Global M&A Deal of the Year in the Latin America/Peru category, The American Lawyer’s 2014 Global Legal Awards, Deal of the Year 2014, China Business Law Journal, M&A Deal of the Year 2014, Latin Lawyer. Mountain Province Diamonds: Advising on their financing for the construction of the world’s largest new diamond mine, Gahcho Kué, a joint venture with De Beers which is located in the Northwest Territories of Canada. PanAust Limited: Acting on the acquisition of Glencore Xstrata plc’s interest in the Frieda River Copper-Gold Project in Papua New Guinea (PNG). The acquisition was effected by acquiring all of the shares held by Glencore in Xstrata Frieda River Limited, a PNG registered company. Concurrently, Dentons advised PanAust on its share placement agreement with Highlands Pacific. The value of the acquisition was approximately AU$125 million. The team included partners from our Sydney and Port Moresby offices. Rio Tinto: Advising on the sale of three European assets to the Norwegian aluminum company Norsk Hydro. The transaction, valued at US$345 million, includes Rio Tinto's ISAL smelter in Iceland, its 53.3% interest in the Aluchemie anode plant in the Netherlands, and its 50% interest in the aluminum fluoride plant in Sweden. Veris Gold Group of Companies: Advising the Monitor in connection with the Group's CCAA proceedings in Canada, as well as Chapter 15 proceedings in the US; and with respect to the disposition of the Veris Gold USA Inc. operating and real estate assets to Whitebox Advisors LLC involving properties on both sides of the border including, notably, the operating gold and milling project in Nevada with annual revenue in the range of US$200 million, awarded M&A Real Estate Deal of the Year 2015, M&A Advisor and Judicial Restructuring of the Year award for Small Markets, Global M&A Network. Dentons is proud to congratulate our three lawyers who are listed as “Leading Canadian Lawyers in Global Mining” by Lexpert, in its recent special edition on global mining. The Mining Charter of 2018: Is the once empowered, always empowered principle applicable to BEE partners exiting higher up the chain? The Mineral and Petroleum Resources Development Act, Act No. 28 of 2002 (the MPRDA) was promulgated with the aim of distributing mineral wealth more equally among citizens to remedy the injustices of apartheid. This article aids mining companies to identify and measure compliance with the respective Mining Charter empowerment targets. According to the Presidential Decree as of January 17, 2018, the period for considering an application for obtaining a license to use subsoil plots containing non-metallic minerals has been reduced to 20 days. In accordance with the Presidential Decree as of February 20, 2019, “On measures for the fundamental improvement and integrated development of the building materials industry,” starting from April 1, 2019, this period is halved for licenses for geological exploration.